Three ‘mysterious’ objects and other space debris were discovered in the space of one week on the edge of three Spanish towns. The first, on November 3 in Calasparra, the second in Villavieja, and finally the third in Elda few days later. They were black spheres one meter in diameter, weighing about 20 kg. According to the Spanish newspaper El Pais, in the early morning of November 3 witnesses saw between six and seven fiery objects falling from the sky. Once found, a nuclear risk prevention protocol was initiated by the Spanish Civil Guard to assess the risk and to collect them for further analysis. Falling space debris over populated areas are a risk for people on ground but also for aviation. The Alicante airport, one of the busiest touristic destination in Spain with more than 10 million passenger per year, is not far from where the largest debris were found. It is known that many risky smaller debris may also survive re-entry but go undetected. What was mysterious about this re-entry? No atmospheric re-entries of satellites or rocket upper stages were forecasted and confirmed at the beginning of November. The mystery was solved by Satobs, a network of amateur astronomers. 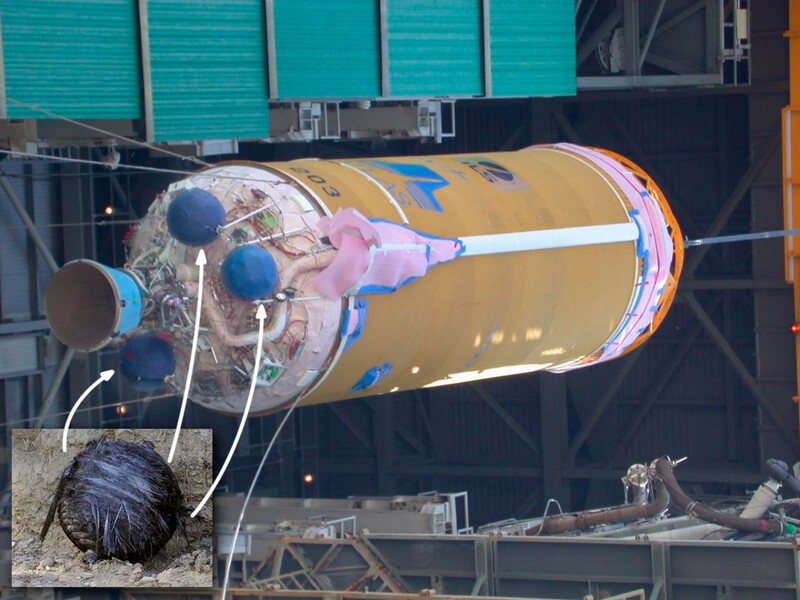 According to Satobs the spheres found in Spain are COPV (composite overwrapped pressure vessel) tanks from a Centaur rocket body, the upper stage of the Atlas-V rocket, launched on March 13, 2008 from Vandenberg AFB that carried the NROL-28 payload for the U.S. National Reconnaissance Office. The Centaur was discarded in a highly elliptical orbit of the Molniya type. It was more than 12 meter long, 3 meter in diameter, with an empty mass of 2,100 kg. It had the designation 2008-010B, and the USSTRATCOM (U.S. Strategic Command) catalogue number 32707. According to Satobs, analysis of recent orbital data revealed that 2008-010B should have re-entered on or about November 3rd, and that if it came down over Spain at the time of the fireball sightings (about 7 AM CET, 6 UTC), it would have passed close to the location of four of the five suspected pieces of space debris reported to-date. The Centaur in question is known to have carried three spherical COPV tanks, of the same diameter as the three found in Murcia, in the area between Mula and Calasparra. Normally USSTRATCOM’s Space-Track website provides predictions of most upcoming re-entries, as well as historical information, but it listed no re-entries that could explain the events in Spain. This was a clue that the object had been related to a military mission, because USSTRATCOM seldom provides orbital or re-entry data for U.S. military and intelligence gathering satellites, and those of several of its allies. The lack of any official information made this re-entry more challenging to identify than usual. Analyzing clues provided by the fireball sightings and the recovered debris, revealed the specific orbit from which the re-entering body had descended. It was inclined approximately 64 deg, and travelled toward the south-east over Spain on 2015 Nov 03 near 06:00 UTC.